Bad breath isn’t the only problem associated with periodontal disease- this completely preventable condition can also cause great pain in your pet’s gums. Even before the disease afflicts your pet, the build-up of tartar has already begun corroding your pet’s periodontal ligament. If left untreated, the harmful bacteria that have contributed to this tartar build-up can reach your pet’s blood stream and cause a variety of other serious problems, including early-onset arthritis and heart disease. This state of infection is known as periodontal disease, and it can lead to the loss of teeth, the creation of abscesses on the gums (stomatitis), and the spread of infections throughout the body. Periodontal disease is irreversible and can only be treated in ways that lessen its impact and slow its progression. 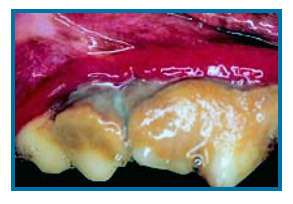 Early periodontitis is characterized by bleeding, swollen gums. As the disease progresses, it will result in the loss of teeth and the formation of pus pockets. By this point, the only treatment options available to your pet involve preventing the spread of the infection to other areas of the body. This is only possible by performing procedures to remove your pet’s teeth and infected gum tissue while supplying antibiotics to infected areas to prevent the bacteria from spreading further. These procedures will generally require anesthetics, which can be dangerous to your pet but are necessary to prevent the infection from causing other serious diseases. Though certain foods can cause plaque and tartar more quickly than others, anything your pet eats will cause the formation of plaque. 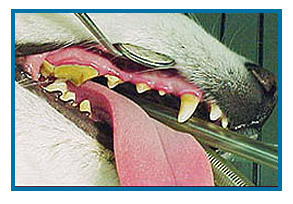 The only way then, to prevent periodontal disease and the gingivitis that precedes it is to regularly clean your pet’s teeth and remove this plaque before it can form harmful tartar. Certain dental treats and rinses can help keep plaque in check, but the best way to prevent the build-up of plaque is with regular brushing. 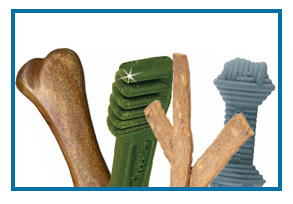 Certain dental treats and rinses can help supplement your effort if you find that you are unable to brush your pet’s teeth adequately. These treats can include minty ingredients that temporarily relieve bad breath with textures intended to help scrape away plaque and tartar. Toys like braided ropes can also help pet’s scrape plaque off their teeth with natural behavior; however, these solutions are not as effective and brushing and should not be used as a replacement for regular dental cleaning. 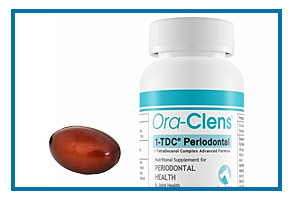 Though 1-TDC has been shown to be effective in these late stages, it is better used as a preventive solution for pets that may just be beginning to exhibit signs of gingivitis. 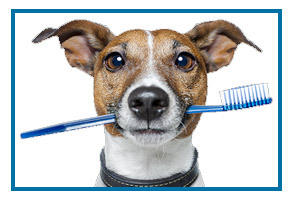 Pets with late stages of gingivitis will almost certainly require professional dental cleaning to prevent the disease from advancing and returning your pet’s mouth to a healthy state. This is due to the fact that when gingivitis has become severe, ultrasonic scalers may be required to break up tartar before it can be scraped away.